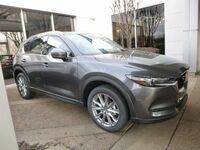 Interested in a 2019 Mazda CX-5 Grand Touring? 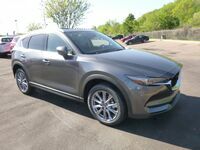 In previous model years, the Grand Touring grade of the Mazda CX-5 would be has high up the trim ladder a Gwatney Mazda of Germantown customer could travel. 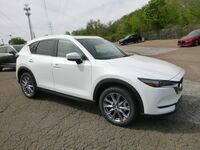 Just because two higher trims have been introduced, that doesn’t mean the 2019 Mazda CX-5 Grand Touring in Memphis, TN doesn’t have a lot to offer. Customers will see some important aesthetic differences with the Grand Touring version of the two-row crossover SUV versus the previous trims including, updated aluminum wheels and a complete set of LED exterior lights. Customers can schedule a test drive with the 2019 Mazda CX-5 Grand Touring today by calling, 833-241-6312. 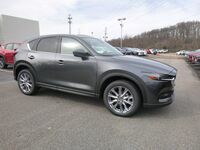 As impressive as the technology equipped inside the 2019 Mazda CX-5 is, the vehicle must still function as a usable crossover SUV. The vehicle’s two rows of seats offer plenty of space for all five passengers to be comfortable. In the back seat, the riders will be able to stretch their legs easily, depending on how far back the driver and front-passenger set their seats. For the new model year, the automaker has added a pair of charge-only USB ports in the back seat. 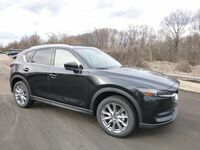 While the Grand Touring 2019 Mazda CX-5 isn’t the top-of-the-line anymore, it remains the trim where buyers will see what the platform can really offer. The Grand Touring is the first trim with a 7-inch LCD Multi-information display and the driver’s seat can store two driver profiles. The 2019 Mazda CX-5 Grand Touring carries the naturally aspirated SKYACTIV®-G 2.5-liter, four-cylinder over from previous trim grades. It also shares the SKYACTIV-Drive six-speed automatic transmission. Like previous versions, the new Mazda CX-5 Grand Touring makes 187 horsepower and 186 pound-feet of torque. Buyers can choose front- and all-wheel-drive versions. Potential owners of the 2019 Mazda CX-5 Grand Touring will be compatible with the Apple CarPlay™ and Android Auto™ suites of applications. 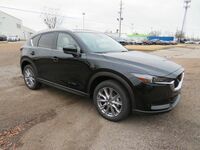 Buyers interested in this model of the 2019 Mazda CX-5 can choose to add the GT Premium accessory package, making a heads-up display, ventilated/heated front seats and power-folding side mirrors available.